I receive many calls on the condition of Waverley Street – south of the Perimeter Highway extending to just before La Barriere Park. I have worked with residents over the past three years to ensure regular grading / dust and magnesium chloride treatments are applied, and now this year the Public Works department will be issuing a Request for Proposals to hire a consultant to begin detailed engineering design work to reconstruct and chip sealing the surface of Waverley Street. The chip seal finish will be the same surfacing treatment as McCreary Road and Loudon Road. In 2018, $500,000 has been allocated to hire a consultant and engineer the street rehabilitation, and $2.5 M is allocated in 2019 for the actual street work. We will not know specific details on how the construction will occur until the consultant finalizes the study. All residents will receive ample notification, and if required, another public meeting will be held. Regrettably, there is no simple ‘fix’ till next year. The Public Works staff will be monitor the condition this year, regularly. The entire street must be reconstructed and until then, vehicles will have to exercise caution and drive to the street conditions. Why This Year and Not Previous Years? 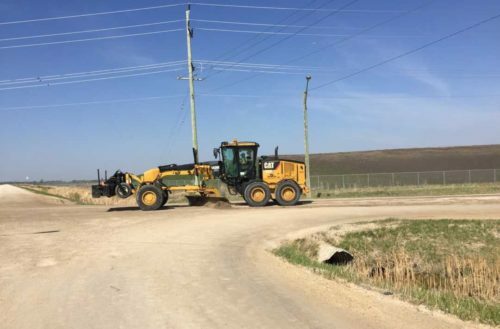 For the past four years, hundreds of semi-trailers have been using Waverley Street (from the Perimeter to Rue des Trappiste) to haul ‘lime mud’ to the areas surrounding Brady landfill. 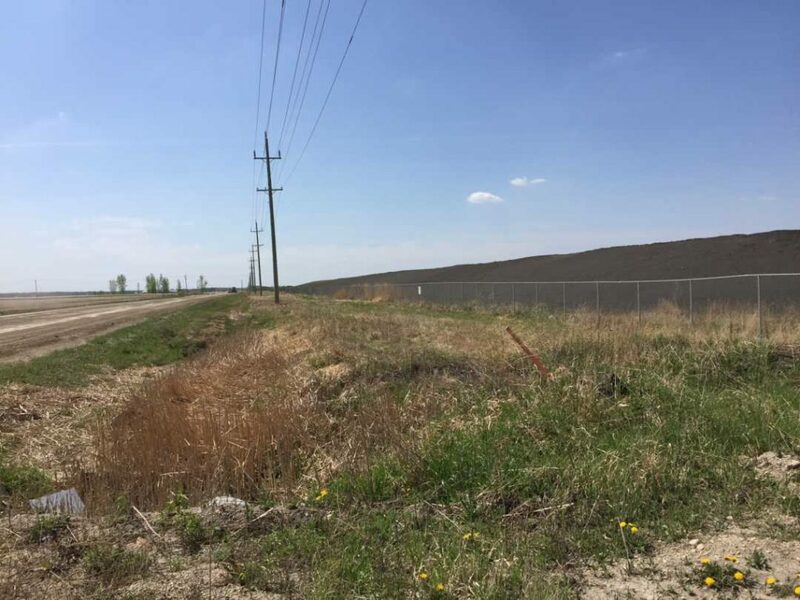 The lime mud is a byproduct of the old fort Garry sugar beet factory and is being used to build berms / hills all around Brady landfill to act as a camouflage and to retain blowing materials. (see photo of berm alongside Waverley Street). Hundreds of semi-trailers accessed Waverley Street off the Perimeter to unload the lime mud and put pressure on the roadway. The large berm/hill is now complete and semi-trailers will not be hauling lime mud. The berm has just recently been covered with soil and now planting of native grasses and vegetation will occur. The base of Waverley Street from Rue des Trappiste to the City limits is completely shot/nonexistent. The Public Works staff do their best to maintain the street grading and adding gravel when the weather is dry, but as soon as it rains, the entire street turns to a soupy mixture. The Public Works department uses a magnesium chloride treatment to ‘hold / glue’ the road together, but it also creates a concrete like substance that adheres to vehicles and is very difficult to remove. When it rains the road conditions deteriorate. Again – there is no simple ‘fix’ and I will ensure the Public Works department grades and does their best to keep the street in good condition. We ask that you please adjust your speed and drive to the street conditions.